So, let me take you through my thought process after receiving the message. First of all, I didn’t recognize the name. Second, he did not leave a company name (presumably to make it sound more ‘personal’). That made me leery right out of the gate. If it is personal, generally people will leave a bit more information, at least about who they are, even if they don’t want to leave the reason with someone. Hey, even the IRS will tell you it’s the IRS. From the perspective of the caller, here’s the good news: I did return the call as the curiosity hook does work. As I guessed before returning the call, it wasn’t personal. It was a salesman attempting to sell me something. Here’s the really bad news from the perspective of the caller. There is no way on God’s green earth that I would do business with someone who begins the relationship by trying to trick my administrative assistant or me with a lie. We do believe in using curiosity to set a hook for a return phone call. We also believe in creating a long lasting relationship with clients/customers, which means being honest with them. If you don’t have a good enough value proposition to get someone to call you back, find something else to sell. 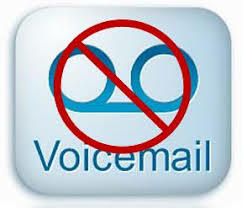 If you’d like to read about Six ways to get more voicemails and emails returned, click on the link and you’ll be taken to a blog on the topic of what does work. Additionally, if you’d like more information on things to avoid and how to craft voicemails and emails that do get returned and begin a fruitful long term relationship, you can click here and be taken to seven more blogs on the topic. If you like information on why no team of sales professionals has ever failed to at least double the number of Initial Appointments they were setting after going through one of our programs, give us a call or drop us a line. We love talking about the challenges of appointment making! Previous Previous post: “How are you doing today?” Is that a good way to begin a cold call? Next Next post: Cold calling…does it work or not?